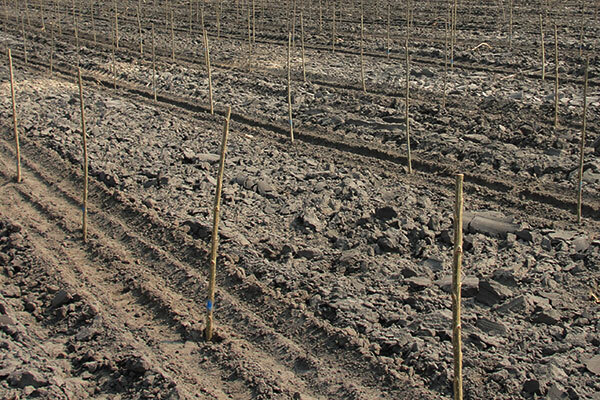 Dendromass4Europe (D4EU) aims at establishing sustainable, Short Rotation Coppice (SRC)-based regional cropping systems for agricultural dendromass on marginal land. The SRC feed into bio-based value chains and create additional job opportunities in rural areas. Our Slovakian partner IKEA Industry Malacky is going to plant round about 500 ha polar SRC every year of the 5-year project runtime until 2022. In the first year D4EU has met this goal. Nearly 1000 ha of poplar SRC have been established. Because sustainability plays an important role, all plantations are going to be certified. So, it is good news that our FSC surveillance audit in 2017 has been successful. The picture shows a recently planted poplar. What is looking a bit like a cane will get green leaves and new branches in the next growing season. Poplar SRC are usually established with cuttings or rods. Previous Post Previous Post: Kia ora D4EU!